Click on the thumbnails below to get a good look at some of the adventures you could be having! 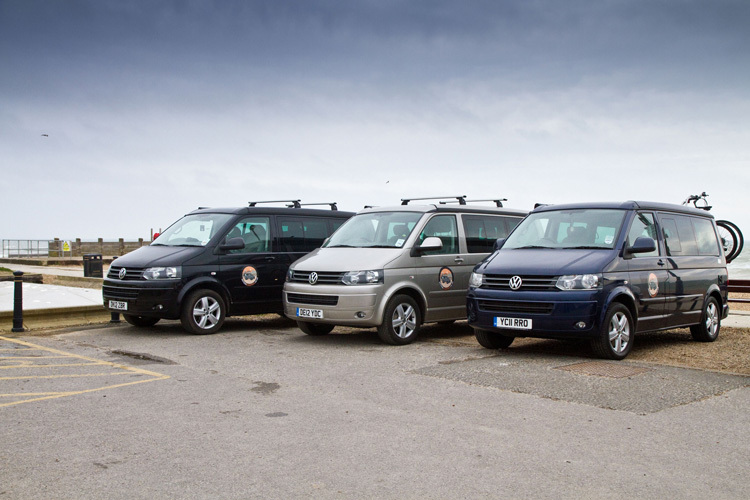 Check out our new Active Kampers video which shows us and Dusty out on a fabulous Sussex campervan trip with all the stunning features of the VW California for you to see! 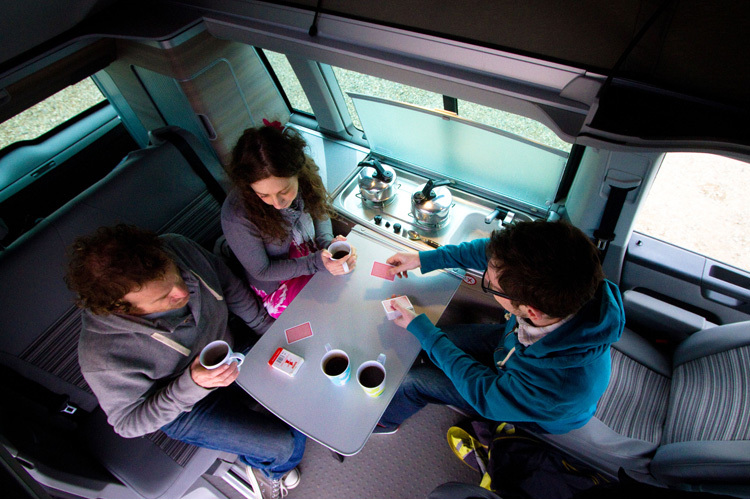 Every thought of going on a camper van road trip? 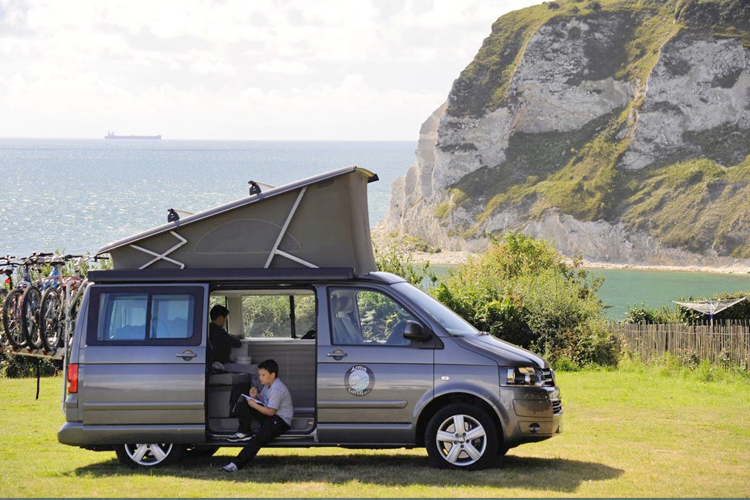 The new VW California camper van has all the heritage of the original VDub camper but it’s sleek, fast, economical and drives like a car. 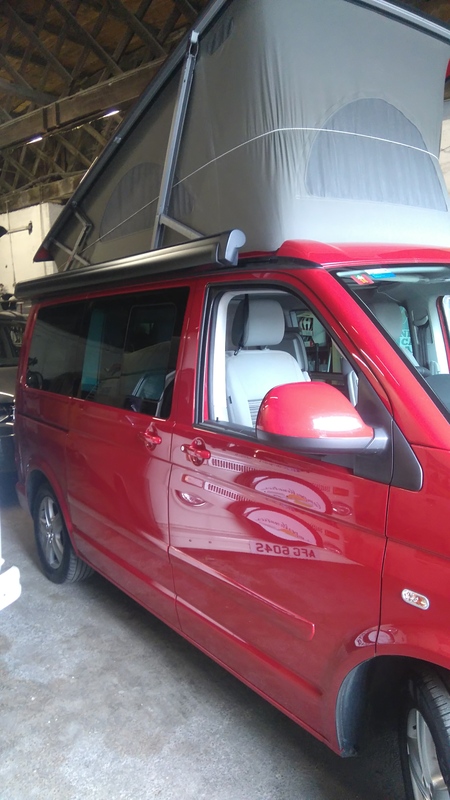 Here is a video diary from our happy customers Hollie & David on their adventure to Pembrokeshire in South West Wales. 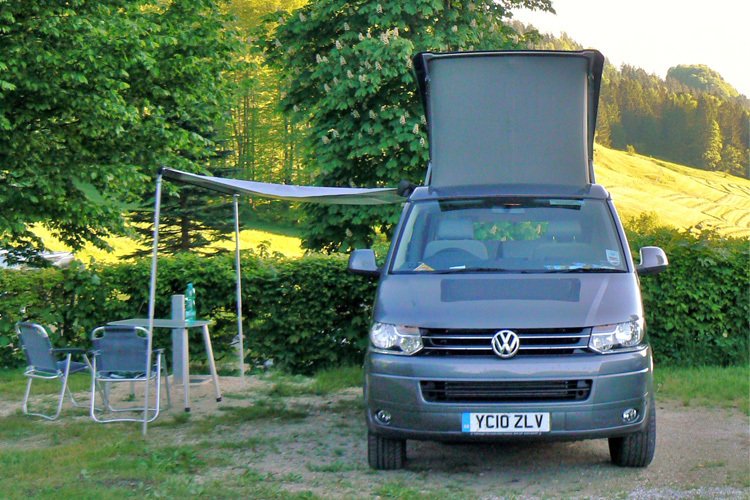 David whisked Hollie away on a surprise weekend in the VW California, Check out their video blog below. Starring Miles and Lucas Atherton! 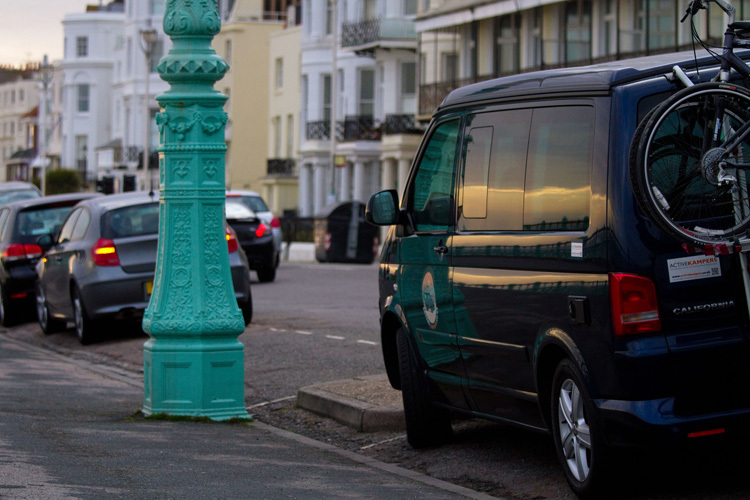 We took two of our vans down to Paddle Around The Pier in early July. Everyone loved them, it was a sunny day and we enjoyed showing them off!! 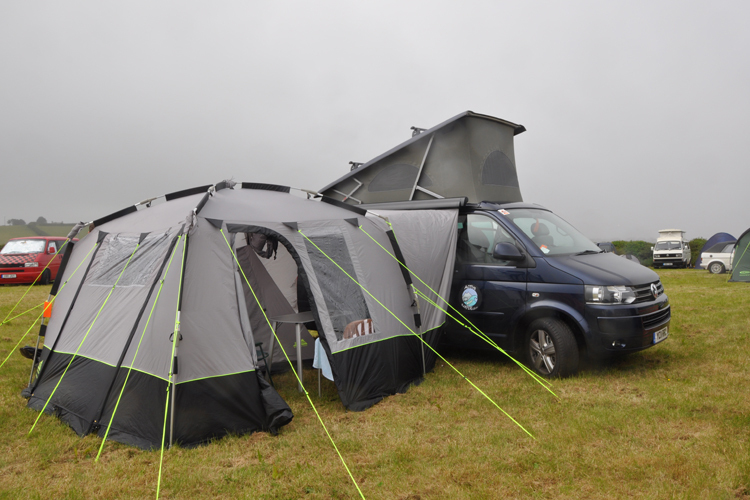 The Kyham Motordome Classic optional tent awning with inner tent more than doubles the camping area and joins right up to the roll-out sun canopy. Charlie is great to drive on a long road trip. 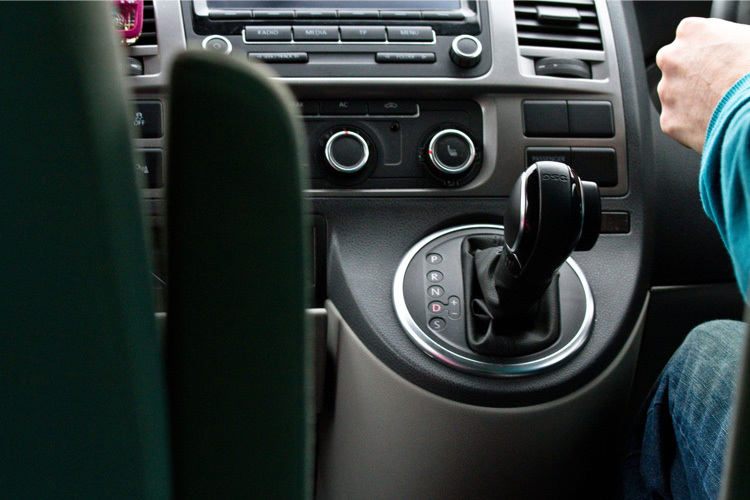 Belgium makes a nice short hop abroad or as part of a longer European road trip. 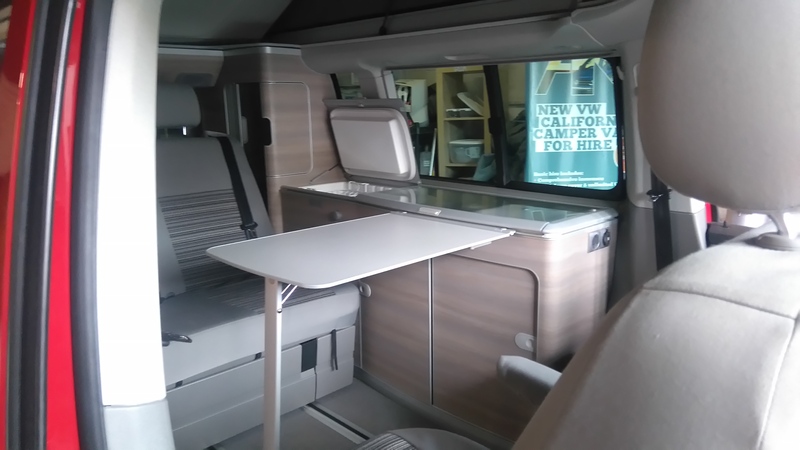 The VW California is perfect for driving through old European cities where both driving and parking a conventional motor home would not be easy. 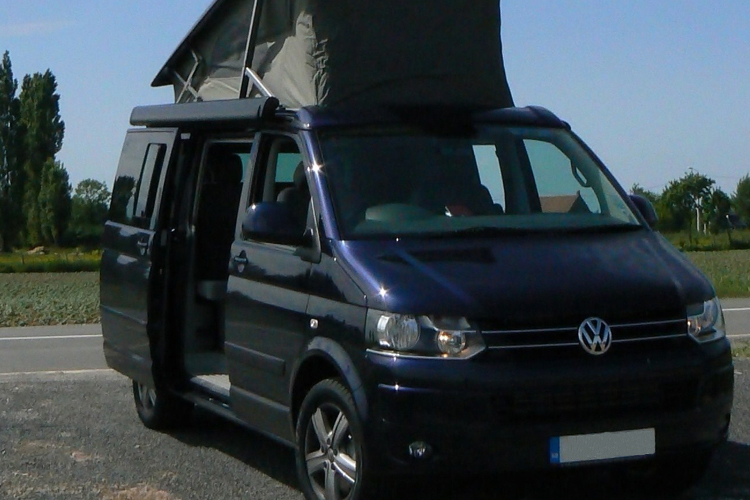 Our VW California’s make a great surf and watersports van. Somewhere nice and cosy to return to. 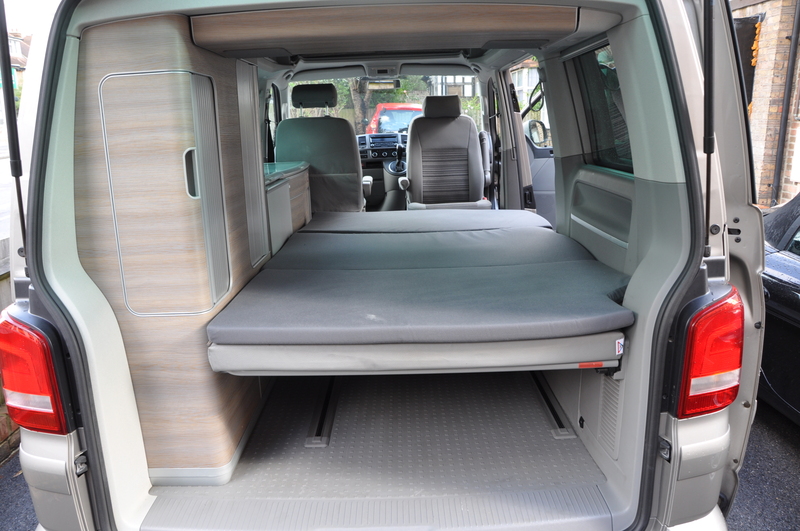 With the fronts seats swivelled around there’s plenty of space to relax in the van whatever the weather. 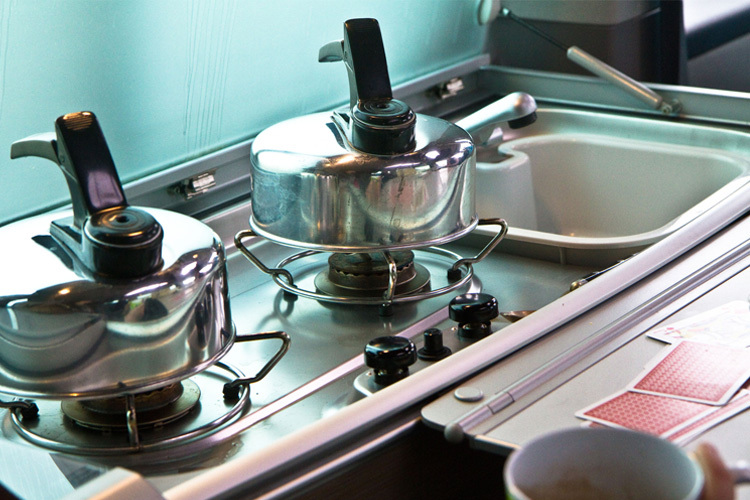 Our central location is near Brighton Station and the A23 London road. 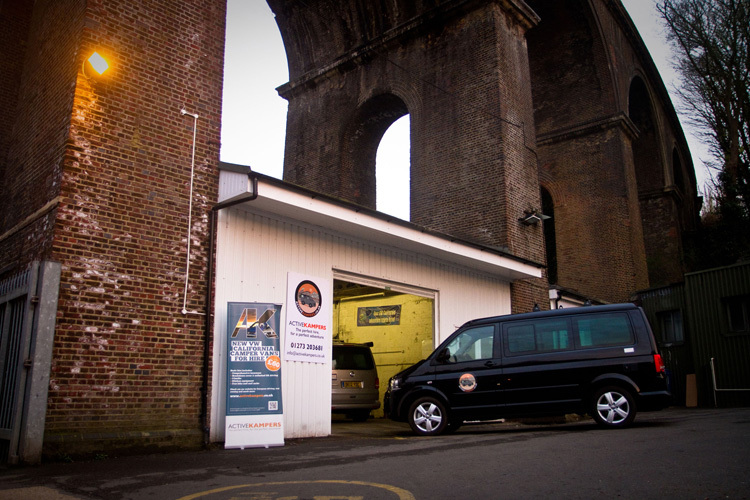 Its stunningly located below the grade 11 listed 1840s London Road railway viaduct. 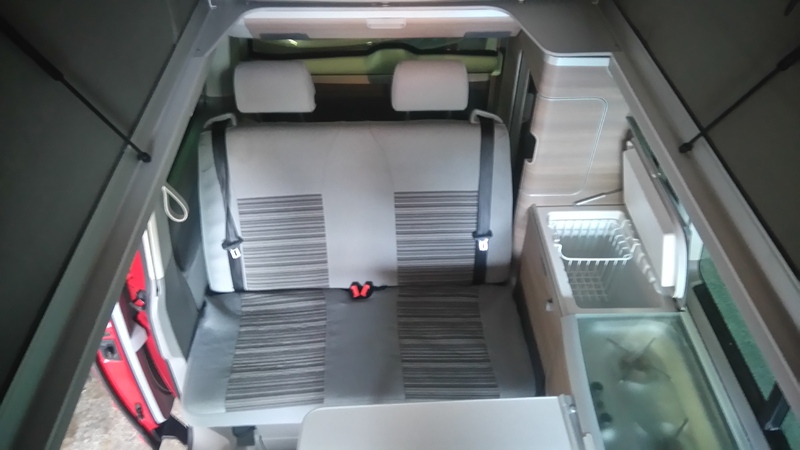 The VW California is very easy and car-like to drive with such features as park assist, cruise control, on all campervans and refined DSG automatic gearboxes on some campervans. 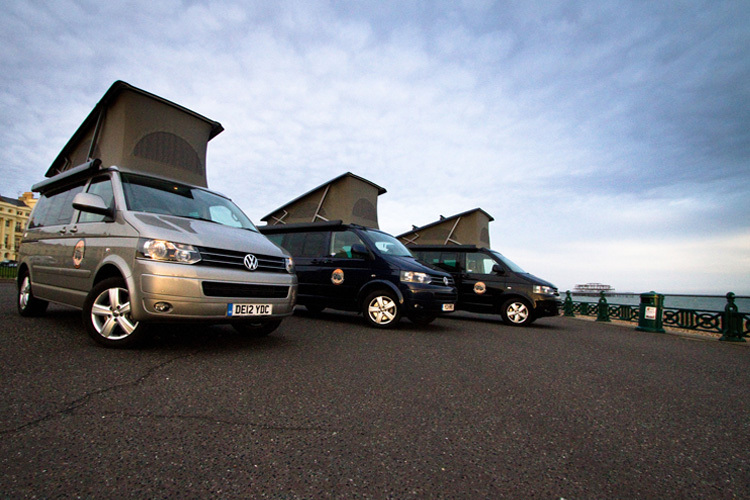 The compact VW California campervan is so easy to park and ideal for the UK’s small parking spaces and narrow roads. 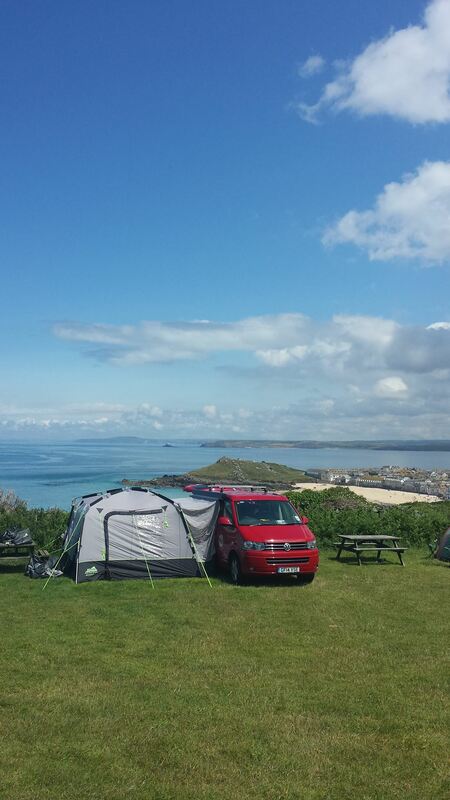 Boris looking as shiny as ever, waiting for Matt to come back after a long day in the surf – just look at those waves! It’s fun to travel in a group. Here Sydney, Charlie and Boris are setting off from Seaford Head back to Brighton. 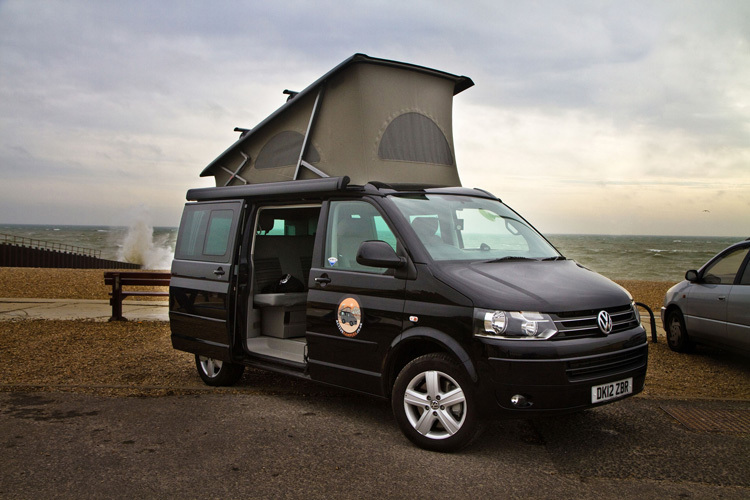 There’s nothing like being parked up by the beach, watching the sunset and the surf. 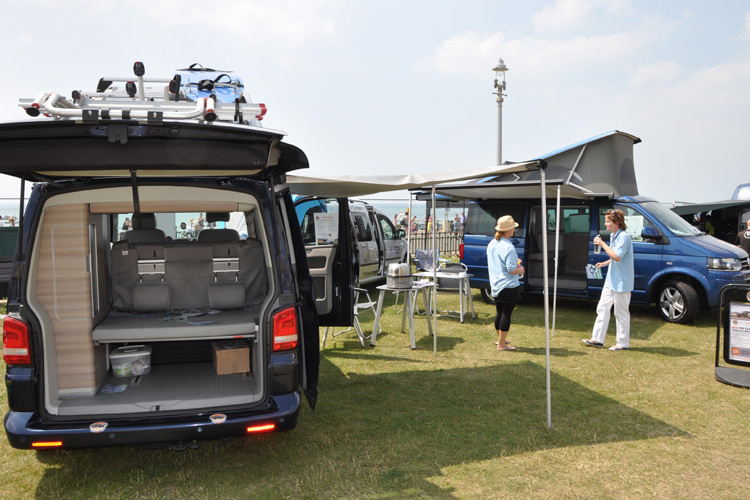 The side awning significantly extends the outdoor space, provides shelter and makes a great place to put the folding table and chairs come with the van and maybe have a BBQ. 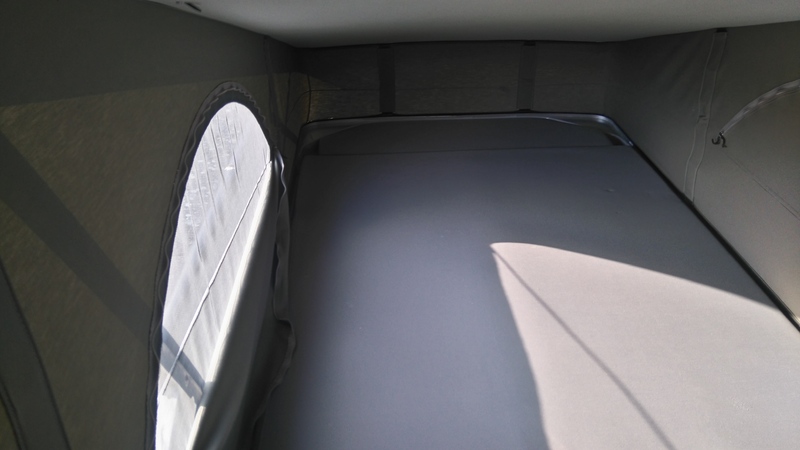 The downstairs bed is made in a few seconds by lower the bench seat back. The spacious and light upstairs bed. A delight for all children! 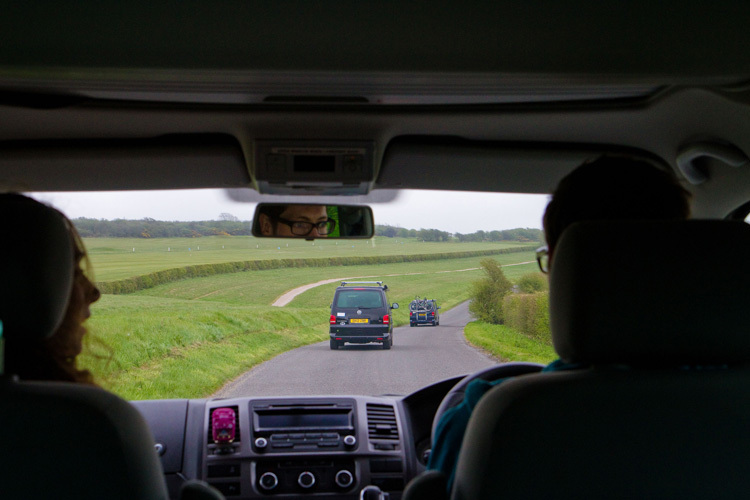 We update our Flickr account regularly, so if you’ve just been on holiday and sent us some snaps or want to see how much fun can be had in one of our vans, head on over there now.